The overriding concern of Mr Carson, Downton Abbey’s butler, has always been to keep things exactly as they have always been. Which means that after the turmoil of the First World War, his first priority is to try and turn back the clock. Carson, Carter says, sees himself as the “standard bearer of the right thing to do.” The honour of the house, its way of life, are what he exists to uphold. Carson’s insistence on a right and a wrong way of doing things means that he is always keeping up appearances. Insights in to the man behind the mask are rare. But in the meantime, Carson will remain Carson - the model of good order. 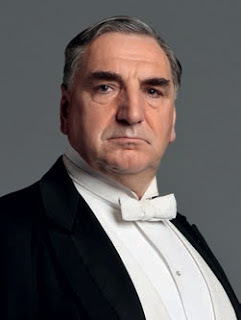 Jim Carter says that playing a man who is almost always stony-faced requires that he stays fairly serious himself on set. And so having spent several years inhabiting a world more than a century behind us, is there one thing he would like to see brought forward to the present day?